Pace yourself. This strain will creep slowly.. then WHAM. Your a zombie lost for words. 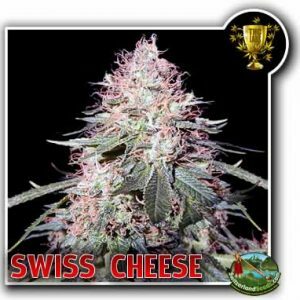 Swiss Strawberry is a very high TCH indica that should be smoked with care. Her taste is sweet and also just like strawberries, and the girls tend to over smoke because they think it tastes great, but don’t do it. Sweet like strawberries, heavy stone, tastes can trick you. 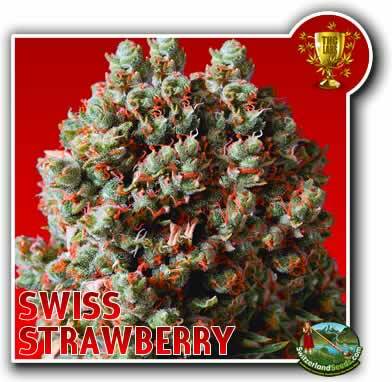 Swiss Strawberry tasted like strawberry ice-cream when i smoked. Thick heavy smoke that I needed to breath in carefully with lots of extra air to stop from coughing. Overall, she was strong body buzz created a happy smile on my face.